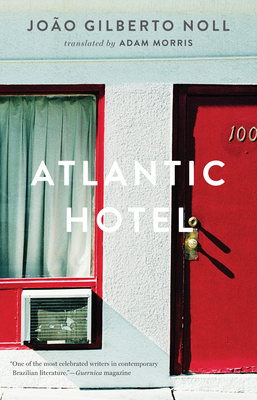 Just who is the narrator of Jo o Gilberto Noll's dark and mysterious Atlantic Hotel? First he books a room where a murder has just occurred, claiming he's just arrived from the airport. But then he suddenly leaves the hotel, telling a cab driver he's an alcoholic headed for detox. After that he hops on an all-night bus headed across Brazil, where he begins to seduce a beautiful American woman. Next he says he's a soap opera actor, which is a bad idea--it makes the people he's hitchhiking with want to kill him. Then he impersonates a priest. He travels to yet another town, and this time he knocks on a very wrong door. The man who opens it has him in the crosshairs of a gun--the narrator passes out, and when he awakes something terrible is happening to him . . . Crossing the wanderings of a fl neur with the menacing mystery of a hard-boiled noir, and always leaving the narrator's identity in flux, Brazilian master Jo o Gilberto Noll ponders how any of us come to possess a sense of who--or what--we are. Published right before his widely acclaimed Quiet Creature on the Corner, Noll's Atlantic Hotel is one of his best-known and most infamous works.